GreenX Network Will Change Energy Investment Forever! Whitelisting Launched! GreenX is anticipated to be one of the best ICOs of 2018. It is a blockchain ecosystem that enables individual and institutional investors to discover and invest in lucrative, low-risk renewable energy projects around the world. Developers of renewable energy projects often find it difficult to raise funding for their projects as these projects are generally capital-intensive and require large capital investments. On the other side, institutional investors in renewable energy projects often face considerable risk of having to invest in one to few mega projects due to liquidity limits with their investment funds as the length of the development timeline of these projects can be long. In addition, most of the individual investors are not able to participate in these projects directly because they often have a minimal contribution requirement, sometimes as high as $100,000. GreenX solves the problems of both developers and investors by building an ecosystem that includes two global marketplaces – the GreenX Capital Market and the GreenX Global Exchange. 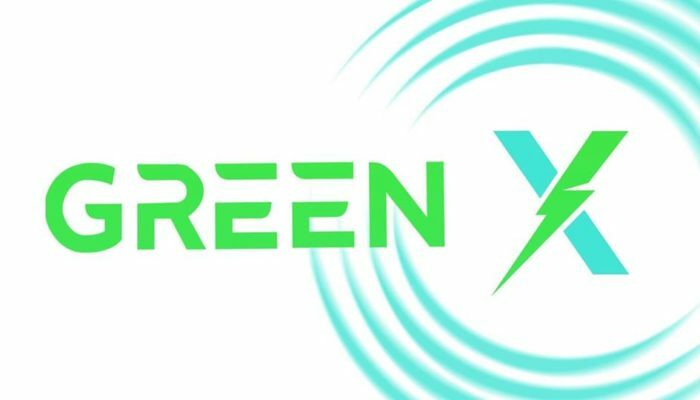 The GreenX Capital Market is a crowdfunding platform built on blockchain technology, while the GreenX Global Exchange is an energy investment marketplace that operates globally. Listing on the GreenX Capital Market is subject to an independent due diligence process along with an AI-based comparative risk analysis. Furthermore, GreenX aims to bridge the gap between its crypto platform and the real world by setting up GreenX subsidiaries registered in the respective project countries along with shared cash accounts with the developer, through which all investments and their returns are channeled. On the other hand, GreenX Global Exchange enables the investors to purchase equities of investment-ready, developed projects immediately where they do not wish to wait during the developing period of the projects. This ecosystem set up is beneficial for both developers and investors. It bridges the gap between good projects and global pools of capital, in the process solving many problems that the current green energy market faces such as low liquidity, geographically limited, and information asymmetry. In addition to a strong business model and a sophisticated, well-thought-out ecosystem, GreenX has a strong team of experienced professionals to deliver its execution. Holding the GreenX token promises strong potential growth for both the near and long-term.